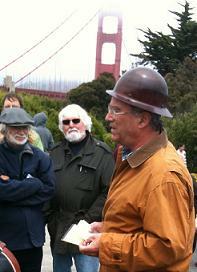 Here is the Report on the 9-11 Reclaiming the Truth, Reclaiming Our Future, Bay Area 9/11 Truth Events. Join us on this ten-year anniversary of the tragedy of 9/11 as we explore the truth of this traumatic event and what it means. As we mourn our losses, we seek to honor the dead and dying by fearlessly understanding 9/11 as a crime. Through film, the spoken word, music, art, revolutionary comedy, action, and dialogue--and in solidarity with events in Toronto, Seattle, and New York--we will gather to share stories, insights, research and feelings about that day, the forgotten history that led up to it, and the decade that followed. Those brave enough to seek, find, and champion the truth about 9/11 have encountered enormous obstacles and resistance. The official story of what happened on 9/11, which has been used to justify endless war abroad and restriction of freedoms at home, has been accepted by a majority of the American people only because there has been a massive cover-up of what really happened on that day. The Battle of Story is greater than the Story of Battle. Will reason, love, and concern triumph over panic, fear and despair? Will we end war, or will war end humanity? Is there an alternative to the fusion of corporate and government power that trumps local, regional and national sovereignty and threatens every facet of our lives? Join us as we explore such questions, as well as the myths and realities that surround this watershed moment in our history. 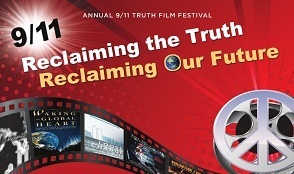 This year The Northern California 9/11 Truth Alliance will hold our 7th annual 9/11 truth film festival at the Grand Lake Theater in Oakland Thursday September 8, 2011, beginning at noon, and at the Herbst Theatre in San Francisco Sunday, September 11, 2011, beginning at 1 pm. We will also gather at the Gandhi Statue, near the Ferry Building, in San Francisco at 10 am, Sunday, September 11th, for our tenth annual 9/11 Truth March/Parade, which will pass by Justin Herman Plaza, Hallidie Plaza, UN Plaza, to the Civic Center, close to the San Francisco War Memorial Veterans Building, where the Herbst Theater is located at 401 Van Ness Avenue (at McAllister). Speakers Include - Film maker Ken Jenkins, Mickey Huff; Director of Project Censored, Professor Anthony J. Hall; author of Earth into Property: Colonization, Decolonization, and Capitalism: The Bowl with One Spoon, Part II and The American Empire and the Fourth World, The Bowl with One Spoon Part I, Professor Peter Phillips; President of the Media Freedom Foundation, Professor Paul Rea; author of Mounting Evidence: Why We Need a New Investigation of 9/11, Joanna Macy; author of World As Lover, World As Self - Courage for Global Justice and Ecological Renewal, Anodea Judith Ph.D.; author of Waking the Global Heart: Humanity's Rite of Passage From the Love of Power to the Power of Love, author of Building the Green Economy: Success Stories from the Grassroots Kevin Danaher Ph.D. and others. 4:36 - 4:39- - Our stories of transformation, overcoming fear through love, laughter, art, film, comedy, music. The most personal truths are universal. This schedule is an organic process and may shrink or expand in spots, as circumstances change, depending on the live feeds from Toronto and Seattle whose content we have no control over. We will do the best we can, and trust that people will be understanding, if we stray a bit from the schedule. Apologies from former Senator Mike Gravel who discovered that he couldn't be in two places simultaneously and informed us on Septemebr 1st that he was flying to Toronto on the 8th to participate in the Toronto Hearings; he is a bit overloaded "trying to do a young man's work" at an advanced age. 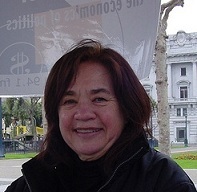 Bonnie Faulkner is the host of Guns and Butter: The Economics of Politics, a weekly one-hour public affairs program that airs on Pacifica's KPFA Radio in Berkeley, 94.1FM, every Wednesday at 1 pm. 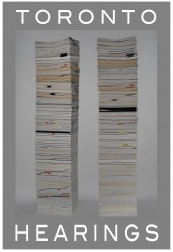 She investigates the relationships among capitalism, militarism and politics. She reports on who wins and who loses when the economic resources of civil society are diverted toward global corporatization, war, and the furtherance of a national security state. Sponsored by the International Center for 9/11 Studies, the first four days of hearings will take place at Toronto’s Ryerson University between September 8 and 11, 2011. During these proceedings, various expert witnesses will present evidence into the events of 9/11. Private funding to carry out these initial hearings is being provided by citizens from around the world. The Toronto Hearings will be moderated by Dr. Michael Keefer (Canada) and Dr. Matthew Witt (United States), and the final report will be edited by American attorney James Gourley. 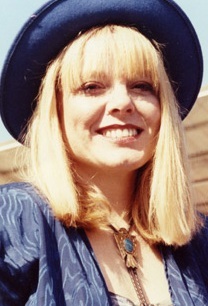 Janette MacKinlay was a member of the Northern California 9/11 Truth Alliance, NYCCAN, and a pillar of the 9/11 Truth Movement. She was our friend, an artist, author of Fortunate: A Personal Diary of 9/11, activist and helped organize many of our events, including Question 9/11: A Call to Action at the Grand Lake Theater in 2006 and the 9/11 Accountability- Strategies and Solutions Conference in Arizona in 2007. In 2010 Janette was diagnosed with brain cancer. She attributed the cancer to the toxic dust she was exposed to on 9/11/2001 when she survived the collapse of the World Trade Center buildings from her residence across the street. She died on December 9, 2010, but her spirit lives on. She is featured in the film Loose Change 9/11: An American Coup and most famously known for giving some of the dust she collected in her apartment to Professor Steven Jones. Psywar Trailer from S DN on Vimeo. 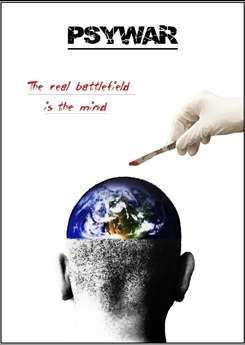 Psywar exposes the propaganda system and the evolution of propaganda, particularly in the service of the state, to defend and expand state power through war. With the departure of the Bush Administration and the arrival of an “era of transparency,” opportunities are arising for the disclosure of new information that may shed more light on the events that took place before and after 9/11/2001. 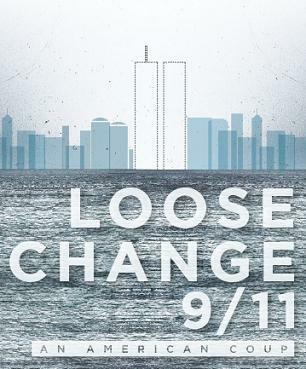 Dramatically narrated by Daniel Sunjata of FX’s Rescue Me, and an outspoken advocate for the First Responders, Loose Change 9/11: An American Coup first examines mysterious and infamous events that reshaped world history – from the Reichstag Fire in 1933 that catapulted Hitler to dictatorship - to the Gulf of Tonkin Incident in 1964 that led to the Vietnam War, and then takes viewers on a turbulent journey through several pivotal moments in history before delving into the most significant catastrophe shaping this century, 9/11. 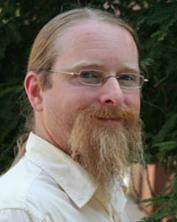 Mickey Huff is an Associate Professor of History and Social Science at Diablo Valley College. Mickey now serves as the Director of Project Censored, and is a fellow board member of the Media Freedom Foundation, working with Professor Phillips. Mickey teaches courses in U.S. Media History, Sociology of Media and Censorship, Propaganda and Media Studies, Critical Thinking concerning 9/11 and American Empire, and Popular Culture. He designed and taught classes on “History of U.S. Media” at Berkeley City College, Critical Reasoning in History, “America, 9/11, and the War on Terror: Media Myth Making and the Propaganda of Historical Construction,” and “American Popular Culture and Mass Media in Historical Perspectives” at Diablo Valley College. He is co-author with Dr. Paul Rea of "Deconstructing Deceit: 9/11, the Media, and Myth Information" published in "Censored 2009" and recently completed the "Censored 2012" book with Dr. Peter Phillips. He blogs at Ministry of Mythinformation and dailycensored.org. In the wake of 9/11, dramatic legislation was passed encroaching upon civil liberties. Grassroots opposition to the SPP and TILMA in Canada successfuly killed a stealth manuever to restructure relations between Canada, the U.S. and Mexico to serve corporate interests, while leaving the public in the dark. This film provides an excellent background to an agenda, that is likely to be implemented if "another 9/11, pandemic, or emergency" permits another push, under the guise of emergency measures to change laws and regulations without public oversight. This film exposes how quickly and easily the corporate elite and their political cronies will abandon democratic principles to consolidate their own power, control and authority at the expense of citizens rights. 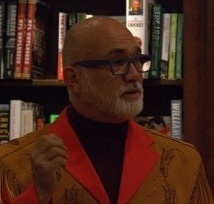 Canadian Professor Anthony J. 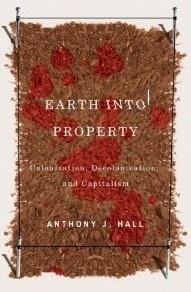 Hall, author of Earth into Property: Colonization, Decolonization, and Capitalism: The Bowl with One Spoon, Part II and The American Empire and the Fourth World, The Bowl with One Spoon Part I teaches Globalization Studies at the University of Lethbridge. In his work, Professor Hall "explores more than five centuries of imperial and anti-imperial globalization, culminating in the lies and crimes permeating the so-called War on Terror." He links the genocidal onslaught against the indigenous people of the Americas with the conquest and colonization of the indigenous peoples throughout Africa and Asia. He recognizes the ever expanding frontiers of corporate globalization. Not a dispaaionate observer, in his personal life, Professor Hall defends the continuing conquest of native land and resources by being on the frontlines, in word and body to challenge the legitimacy of the corporate overt and covert media, legislative, and military assaults. "We felt the country was at risk from terrorists and from incompetence...and maybe worse." Out of the grieving thousands left behind on September 11th, a small group of activist families emerged to demand answers. In 9/11 Press For Truth, six of them (including three of the famous "Jersey Girls") told the powerful story of how they took on the powers in Washington—and won!—compelling an investigation, only to subsequently watch the 9/11 Commission fail in answering most of their questions. The families eventually found an ally in Paul Thompson. Dissatisfied with the incomplete picture of September 11th presented in most news reports, Thompson became a citizen journalist of sorts. He stitched together thousands of rare overlooked news clips, buried stories, and government press conferences into a definitive Complete 9/11 Timeline (published by Harper Collins as The Terror Timeline). 9/11 Press For Truth is adapted in part from his acclaimed work, which revealed to the families a very different picture of the road that led to the attacks and the resulting War on Terror, one that still raises important and pressing questions. 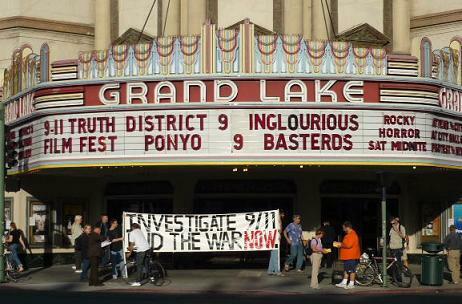 9/11 Press For Truth premiered theatrically in September 2006 in New York City and at the Grand Lake Theater in Oakland. With the help of Robert Greenwald's Brave New Theaters, it was rolled out for a limited release in over fifty cities across America as well as Canada, Great Britain, the Czech Republic, Australia, and Japan. The movie was immediately hailed by critics and enthusiastically embraced by a groundswell of concerned people worldwide who felt that the 9/11 Commission and the western news media had failed to account for many important issues. On the fifth anniversary of the attacks, 9/11 Press For Truth aired throughout the Middle East on the Al Jazeera television network. It was purchased by TV stations in Spain, Norway, Poland, and all of South America. 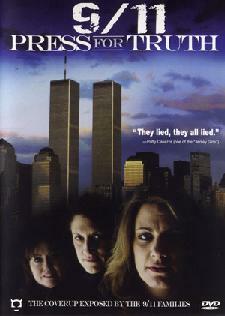 In February 2007, 9/11 Press For Truth received it's U.S. television debut on satellite channel LinkTV. 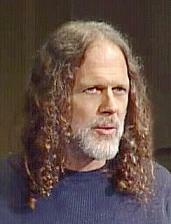 Peter Phillips joined the Sociology Department of Sonoma State University in 1994 after completing a Ph.D. at U.C. Davis. He teaches courses Political Sociology, Power, Sociology of Media and Media Censorship. 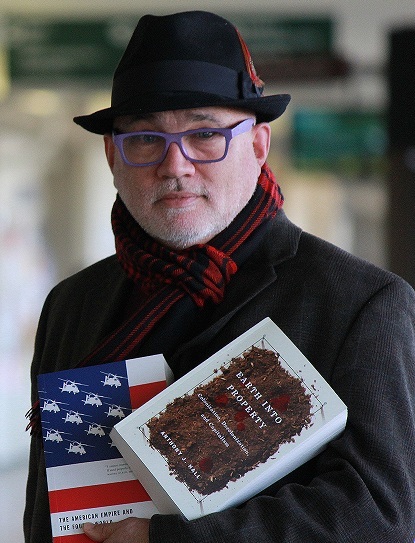 Dr. Phillips is the former director of Project Censored an internationally known media research program that annually identifies the “Most Censored” news stories in the United States. The annual research book produced by Project Censored is entitled "Censored: The News That Didn't Make the News", and is available from Seven Stories Press. He is a founder and on the Board of Directors of the Media Freedom Foundation. 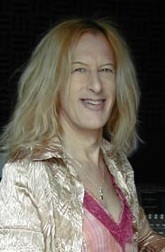 He co-hosts KPFA's Morning Mix with Mickey Huff. This film contains speakers that will be featured in 9/11 Explosive Evidence- Experts Speak Out produced by Architects and Engineers for 9/11 Truth which will be premiering on Sunday evening at the Herbst Theatre. This was edited down to five minutes to air on national public television, but was posted in its entirety on the internet and has been extremely popular. 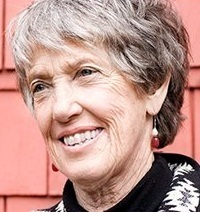 Joanna Macy is a scholar of Buddhism, general systems theory, and deep ecology. She holds a powerful voice to address the psychological and spiritual issues of the nuclear age, the cultivation of ecological awareness, and the fruitful resonance between Buddhist thought and contemporary science. She combines thought with practice, the inner work with social engagement. She has mothered the larger movements for social change, evoking the idea of the Great Turning and how we can shift from devouring empire towards life honoring community. Her books include Pass It On- Five Stories That Can Change the World, Coming Back to Life- Practices to Reconnect Our Lives, Our World, Widening Circles - A Memoir, Thinking Like a Mountain - Towards a Council of All Beings, World as Lover, World as Self. Her work helps people transform despair and apathy, in the face of overwhelming social and ecological crises, into constructive, collaborative action. 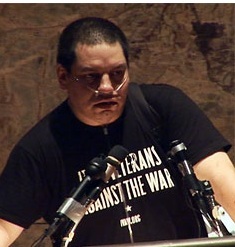 This short, powerful film captured David Miller's passionate speech in New York City 2006 on the plight of the responders exposed to the toxic dust at Ground Zero. 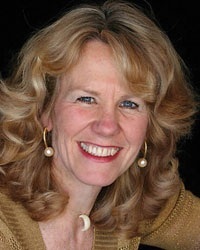 9:16 – 9:31- - Speakers- Carol Brouillet Call to Action. 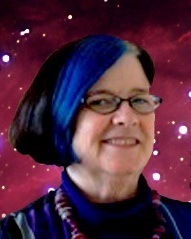 Carol Brouillet, founder of the Northern California 9/11 Truth Alliance, hyperactivist, host of Community Currency. Born on September 11, 1906, in a theater in South Africa where three thousand people gathered to oppose racist laws. 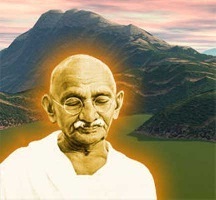 "Satyagraha" literally means "truth force" or "pursuit of truth" and Gandhi believed that "Life is the pursuit of truth." 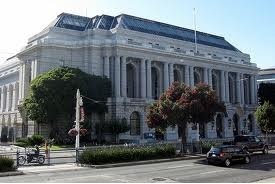 This year we plan to gather at the Gandhi Statue at the Ferry Building at 10 am. We will share our poems, songs, music, stories and peacefully march/parade up Market Street, through Justin Herman Plaza, Hallidae Plaza (11 am), and on to the Civic Center for a peaceful gathering at noon, before the events begin at the Herbst at 1 pm. Please join us. Be the change you wish to see. Champion the truths that need to be told. MC Sherry Glaser, born and raised in New York, is the Star and author of Off-Broadways' longest running one-woman show; FAMILY SECRETS. 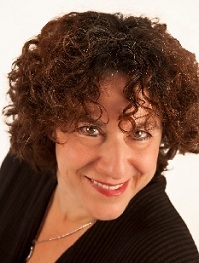 A talented, award winning comedian, actress, writer, radio host; she has created original one woman shows, including OH MY GODDESS!, and "THE BrEaST OF SHERRY GLASER" aka "ALL WE ARE SAYING." She is also a founding member of the Peace Activist Group; BREASTS NOT BOMBS who recently won a lawsuit against the CHP for violation of her civil rights. She had a cameo appearance at the Herbst in Behind Every Terrorist There is a Bush, the benefit for the San Francisco International Inquiry into 9/11. Michele Little, sister of fallen firefighter David Weiss from Rescue One, founder of Unite In Peace, an organization that honors the heroic men, women and children of the September 11th tragedy by uniting youth in global discussion through artistic expression with their personal messages of peace. Brett Smith was born and raised in Provo, Utah. He is 28 years old. He graduated from Provo High School in 2001 and recently earned his Associate in Science (Behavioral Science) degree from Utah Valley University. In 2006, He did a short 15 minute documentary for a class at the university. 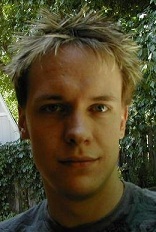 Since Steven Jones was a hot topic in Utah at the time, he chose to make him the subject of the film. In recent years, he felt that the story of Steven Jones went much further than just his original paper, and the potential for a great story could be told. The film is an insightful look beyond "hard evidence" at the very human story of challenging conventional thought and its costs. 'hy.poth.e.sis' is a documentary film that follows physics professor Steven E. Jones during a pivotal point in his life. In 2005, Steven went public with a controversial theory regarding the collapse of the World Trade Center on 9/11. His assertion that the collapse was likely the result of pre-positioned explosives rather than the hijacked planes resulted in a backlash from the community and even threatened his standing as a professor at BYU. Despite hate mail, threats, and even bribery to end his research, Steven refused to give in to overwhelming pressure and continued his pursuit of the truth. 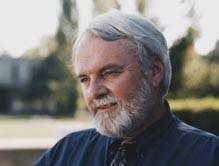 Paul Rea, Ph.D., researcher/writer, author of Still Seeking the Truth about 9/11, has taught "The Politics of the Nuclear Age" and "Science, Technology, and Human Values" at St. Mary's College in Moraga, CA. 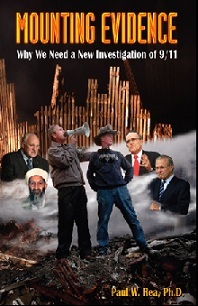 Paul has just completed an updated, much-expanded overview of the issues surrounding 9/11 in his new book Mounting Evidence: Why We Need a New Investigation of 9/11 which will include The Zealots of Dominance:The Neocon Factor in 9/11, specifically looking at the mindset of those involved with the Project for a New American Century. Inspired by the 10th anniversary of 9/11 and the passion of Seattle Fire Fighter Erik Lawyer, we invite you to participate in ONE: The Event. With more than 3 million people around the world, we will make a collective shift by choosing love over fear, kindness over anger, and responsibility rather than blame. In remembrance of the tragedies of September 11th and the wars that followed, we will honor all those senselessly lost by rebuilding our relationships with love and kindness, and celebrate our global unity. You, your friends and loved ones are all invited to join us online, or at our hub event in Seattle on 9/11, or at one of our satellite events across the world to help us launch a movement ending our cycle of fear and disempowerment, and step into our collective power of ONE. Now and forever! Through our individual and collective expressions, on the day most associated with fear and hate, we can shift this to the most powerful day of love and unity. Help us turn one of Humanity's Darkest Days into its Brightest. BE PART OF OUR GLOBAL EXPRESSION OF OUR POWER OF ONE! 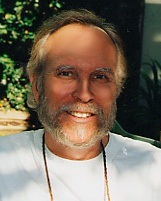 Canadian Professor Anthony J. Hall, author of Earth into Property: Colonization, Decolonization, and Capitalism: The Bowl with One Spoon, Part II and The American Empire and the Fourth World, The Bowl with One Spoon Part I teaches Globalization Studies at the University of Lethbridge. In his work, Professor Hall "explores more than five centuries of imperial and anti-imperial globalization, culminating in the lies and crimes permeating the so-called War on Terror." He links the genocidal onslaught against the indigenous people of the Americas with the conquest and colonization of the inndigenous peoples throughout Africa and Asia. 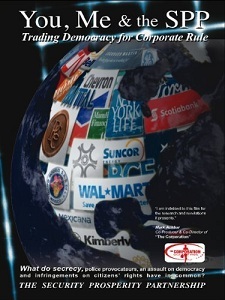 He recognizes the ever expanding frontiers of corporate globalization. Not a dispaaionate observer, in his personal life, Professor Hall defends the continuing conquest of native land and resources by being on the frontlines, in word and body to challenge the legitimacy of the corporate overt and covert media, legislative, and military assaults. Our stories of transformation, overcoming fear through love, laughter, art, film, comedy, music, story. The most personal truths are universal. 4:32 – 4:37- - Music - "Requiescant in Pace" requiescant in pace 2001 - written on 9/11 by Nik Green of The Away Team with images taken by Lenny Charles of the International News Network of New York City on September 11th, 2011. Nik Green was born in Somerset, England, and spent his childhood on the Welsh border. At age four, his mother caught him picking out the melodies of popular tunes on the radio, and promptly sent him to piano lessons. Nik says, "I was taught piano in the uptight, rigid English tradition -- I hated it and completely rejected formal training" but his relationship with music was rescued by his great aunt who encouraged Nik to imrpovise as well as teaching him old Broadway tunes, ragtime and syncopation, "and all things frowned upon". Nik quit piano at 17, and soon after was "fired up" by the sounds of the synthesizer: "I re-taught myself pretty much from scratch". "Most of my family, appalled by my failure to become an obedient military/corporate citizen, promptly disowned me -- resulting in an incredible feeling of freedom to follow my muse". In 1980, Nik formed an all electronic trio with John Connell and Will Douglas, known as The Really Schmaltzy Cabaret Boys (! ), playing electronic dance/ambient music -- "[e]veryone thought we were totally crazy because we had no bass, guitar or standard drum set when everybody else around us was playing punk and metal". ["Good timing, Nik!"] John went on to join the English National Opera, singing Wagner and Verdi, but Nik joined English folk artist Roy Harper whose band featured guitarist Jimmy Page and bassist Tony Franklin. In the late 80's, when electronic dance music was really catching on, Nik was recruited into hard rock/heavy metal, with former Whitesnake's guitarist, John Sykes and his band Blue Murder, featuring Tony Franklin on bass and Carmine Appice on drums. ["More Good Timing, Nik!"] Nik moved to Los Angeles. Blue Murder, "yet another casualty of arbitrary corporate politicking and industry foibles" dissolved in 1995. Nik cites his musical influences as Charles Ives, the Beatles, and Steve Reich, amongst many others. 4:37 - 4:39- - Video Statement from Penny Little of The Away Team, who had hoped to physically be with us, but will be in New York filming an addendum to her film 911 Dust and Deceit at the WTC. 4:39 - 4:44- - Music Video Topsy Turvy performed by The Away Team, Nik Green and Penny Little lyrics inspired by David Ray Griffin. 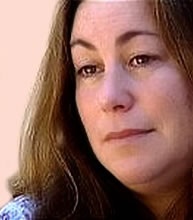 4:44 - 4:47- - Confessions of a 9/11 Truth Activist Carol Brouillet. Producer of Behind Every Terrorist- There is a Bush, The Deception and Perception Dollars, a "hyperactivist" explains why she embraces the impossible tasks, like topling empires and shifting public opinion. 4:47 - 5:00- - Sherry Glaser, Supermom. Film 9/11 Explosive Evidence - Experts Speak Out by Architects and Engineers for 9/11 Truth (205 minutes). 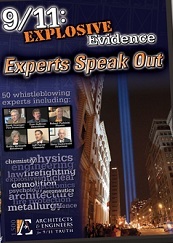 The film 9/11 Explosive Evidence - Experts Speak Out by Architects and Engineers for 9/11 Truth features cutting-edge 9/11 evidence from more than 50 experts in their fields – high-rise architects, structural engineers, physicists, chemical engineers, firefighters, metallurgists, explosives experts, controlled demolition technicians, and more. They are each highly qualified. 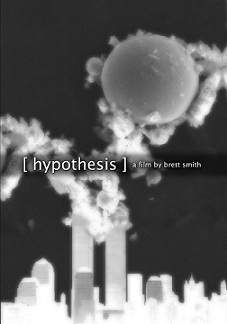 Several have Ph.D’s, including renowned scientist, Lynn Margulis who was awarded the National Medal of Science, and who exposes in this film the fraud of NIST and discusses how the scientific method should have been applied to the destruction of evidence and to the high temperature incendiaries in the WTC dust samples. 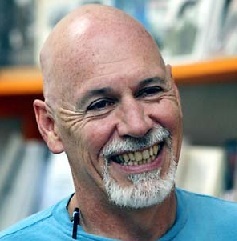 Kevin Danaher, Ph.D. is a co founder of Global Exchange, executive producer of the Green Festivals, and executive Director of the Global Citizen Center. He has authored and co-authored many books, including Building the Green Economy: Success Stories from the Grassroots, 10 Reasons to Abolish the IMF and the World Bank and Insurrection: Citizen Challenges to Corporate Power. Details. Tickets for 9/11 Reclaiming the Truth, Reclaiming Our Future Benefit are $10- general admission, $7- seniors, students or low income. Tickets are available for the September 8th 2011 event at the Grand Lake Theater, 3200 Grand Ave., Oakland and for the September 11, 2011 event at the Herbst Theatre, 401 Van Ness Ave., San Francisco at the door and through the Grand Lake Theater website website and for the Herbst, through the City Box Office, 180 Redwood Street, Suite 100, San Francisco, (415) 392-4400. To endorse, volunteer, support these events, please contact- Carol Brouillet, cbrouillet(at)igc.org, 650-857-0927 or come to one of the Northern California 9/11 Truth Alliance meetings on the first and third Thursday of each month (August 4th & 18th, September 1st) in the Fireside Room at BFUU, 1606 Bonita, Berkeley. These events are endorsed by 911Truth.org, Project Censored, Media Freedom Foundation, 911SharetheTruth.com, Peace Resource Project, the BFUU Social Justice Committee, WeAreChangeTV.us, Breasts Not Bombs and the Grand Lake Theater.